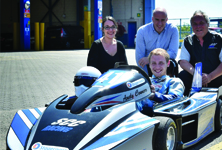 Stagecoach North East is helping to support Armed Forces Day 2017 across the region. 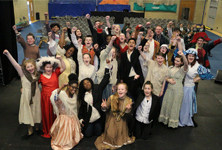 Stagecoach North East helped bring drama to Excelsior Academy in Newcastle with sponsorship of £250 towards its production of the West End blockbuster Les Misérables. 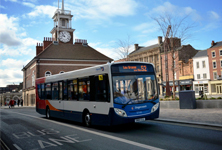 Part time bus driver Trevor Best has now gone from six wheels to two as he drives off into the sunset on his new bike and retires from service at Stagecoach in Hartlepool. 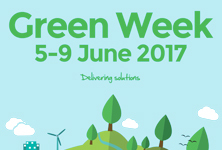 Stagecoach North East has launched its ninth annual Green Week programme with a series of activities at its six depots across the north east region. 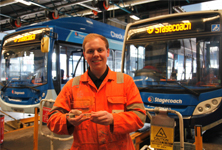 Stagecoach North East is inviting budding engineers to apply for a place on this year’s apprenticeship scheme. 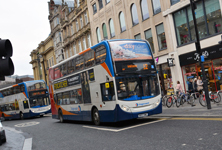 Bus passengers across Teesside and Hartlepool are being encouraged to have their say on a number of routes across the region from services provided by Stagecoach North East. 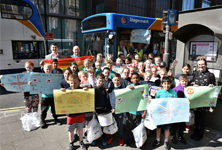 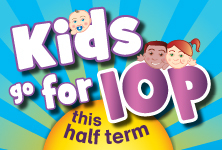 Youngsters across the Tees Valley can hop aboard the bus with their parents this half term and travel all day for just 10p thanks to local bus operator, Stagecoach North East. 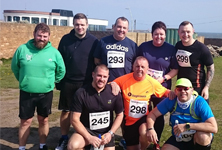 Ten employees from a Newcastle bus depot have tackled a tough 10km race in South Shields to raise funds for poorly Kian Musgrove.